A few months ago, a woman went crabbing on the Louisiana coast with her friends and family. While there, she picked up a sack of raw oysters at a market. Little did she know that this would be one of her last meals. This woman, and her wife, shucked and ate about two dozen of these raw oysters. It was only about 36 hours later when she started having extreme respiratory distress, and developed a rash on her legs. Her condition continued to get worse and she went to see a doctor. There, she was diagnosed to have been infected with Vibrio. Vibrio is a flesh-eating bacterium, and that is what caused this woman to develop severe wounds on her legs. After fighting very hard for her life, she died 21 days later. The Centers for Disease Control (CDC) tells us that Vibrio bacteria naturally inhabit coastal waters where oysters live. 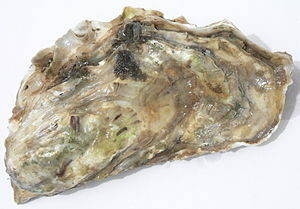 Because oysters feed by filtering water, bacteria can concentrate in their tissues. When someone eats raw or undercooked oysters, viruses or bacteria that may be in the oysters can cause illness. The most common Vibrio infections only cause diarrhea and vomiting. However, some infections, such as those caused by Vibrio vulnificus, can cause more severe illness, such as bloodstream infections and severe blistering skin lesions. Many people with Vibrio vulnificus infections require intensive care or limb amputations. 15-30% of these infections are fatal. The CDC says that it is impossible to tell if an oyster is bad by looking at it. They also say that the only way to kill harmful bacteria in oysters is to cook them properly. By the way, do any of you want to join me at the raw oyster bar tonight? Eating raw oysters and having drinks sounds like fun, but please make sure that your life insurance is current.